What is Synthesis? Synthesis is a form of analysis related to comparison and contrast, classification and division. 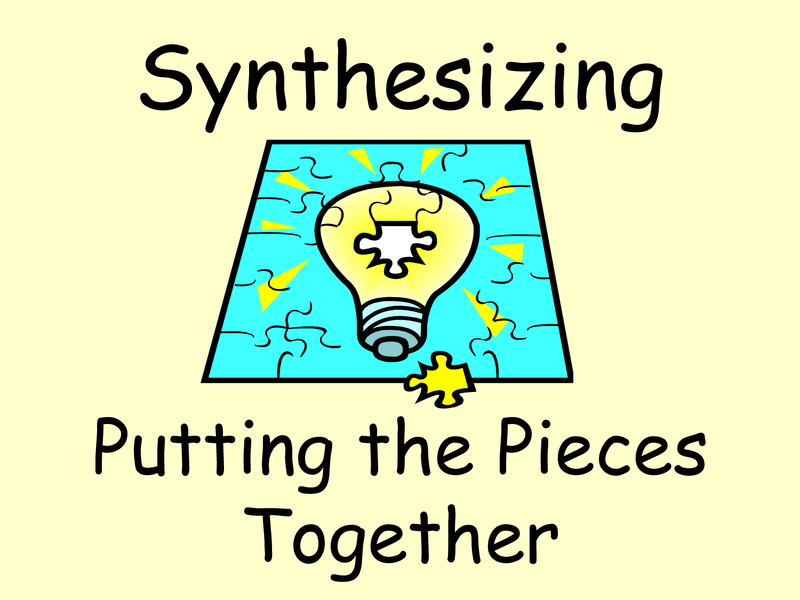 On a basic level, synthesis involves bringing together two or more sources, looking for themes in each. In synthesis, you search for the links between various materials in order to make your point. Most advanced academic writing relies heavily on synthesis. Pretend you are working with five sources for an essay, as represented by the five colored dots below. 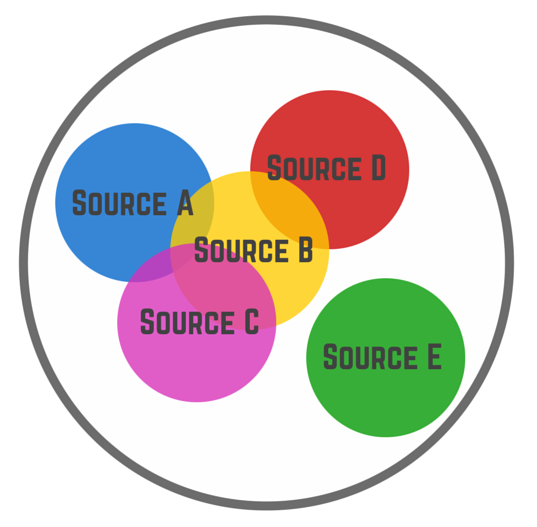 Notice how there are no connections between the sources; the five sources are simply listed in some arbitrary order. What if you need to synethesize the sources, though? You can start synthesising by noting the similarities and differences between the sources and mapping them accordingly. Perhaps you noticed that A (blue), B (yellow), and C (pink) make similar arguments, so they are grouped together. You also noticed that D (red) and B (yellow) share a similar methodology, so they are linked together. But perhaps D (red) does not make the same argument as B (yellow), A (blue), and C (pink). And E (green) is completely out there on his own! So you can now see that there are several possibilities for synthesizing these sources. The gray ring around these sources represents the synthesized claims that you can make. For instance, you might claim, "While multiple scholars agree that X, there is no overall consensus on this issue." Or you may claim, "Conflicting methodologies among research creates gaps in the research on X.